Ever fancied taking a trip to Cheltenham? 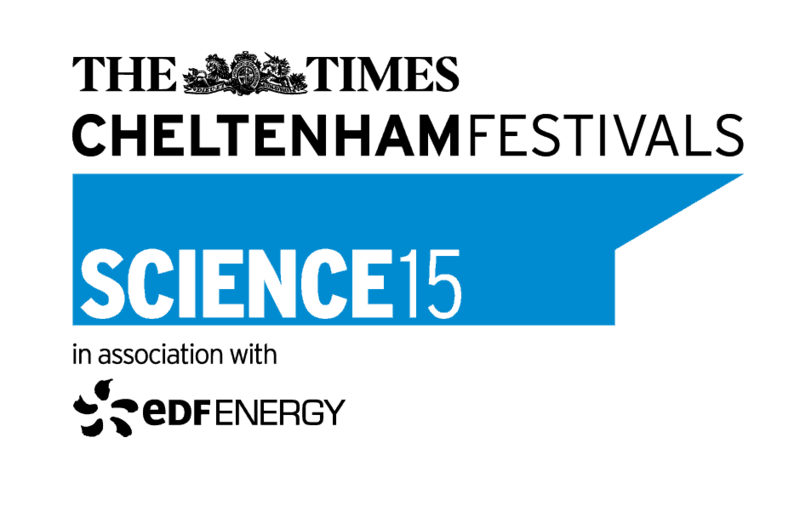 Enjoy visiting museums or going to science festivals? 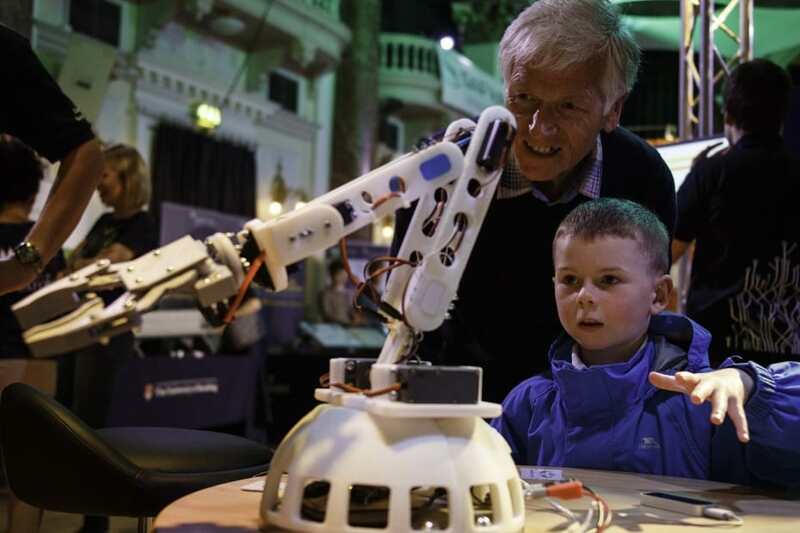 Take a look at our exciting post about the Cheltenham Science Festival- offering a wide range of activities running over six days which are suitable for all ages. 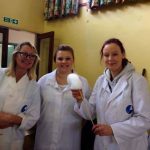 Schools, young people and the local community can enjoy the Festivals year round through the extensive programme of educational workshops, talks, projects and inspiring activities. 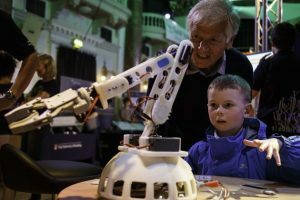 There are a variety of activities on offer and this post will explore the 7 different areas that the science festival covers. 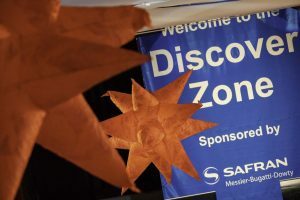 Visit more free and amazing interactive zones than ever before! Huge dinosaurs, hands-on experiments, flight simulators, robots on Mars… there’s so much to explore. Make sure you look out for star guests who will be appearing at the festival this year! Including Steve Backshall, Brian Cox and Alice Roberts. Travel back to the future (and past) in Doc Brown’s Invention Lab, just like Marty McFly! 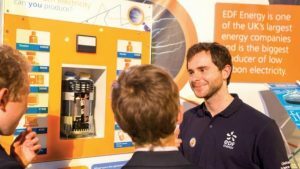 If that doesn’t get your DeLorean revving, navigate a remote controlled car through an overhead maze, power a rocket, have a go at coding and cryptography or explore the mysteries of light and futuristic materials. 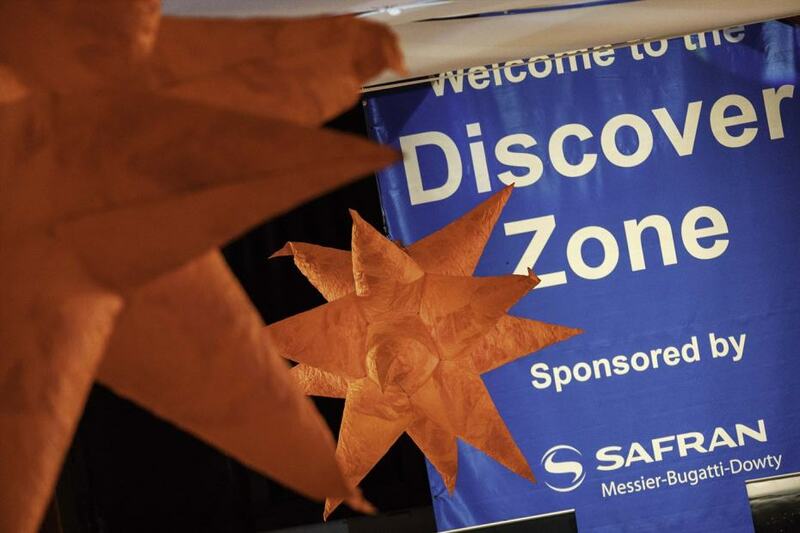 Filled with exciting hands-on activities, kids and grown-ups alike will have tons of fun in the Discover Zone. Have you ever touched a real dinosaur bone? Here’s your chance! Get up close and personal with the 7.4 metre long skeleton of a Gorgosaurus and stare into the eye (sockets) of a Triceratops skull. See what the dinosaurs would have seen and explore our pre-historic landscape under a canopy of stars. 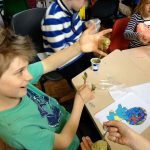 Get hands-on creating an asteroid impact on earth and find out what dinosaurs have to do with extra- terrestrial activity. 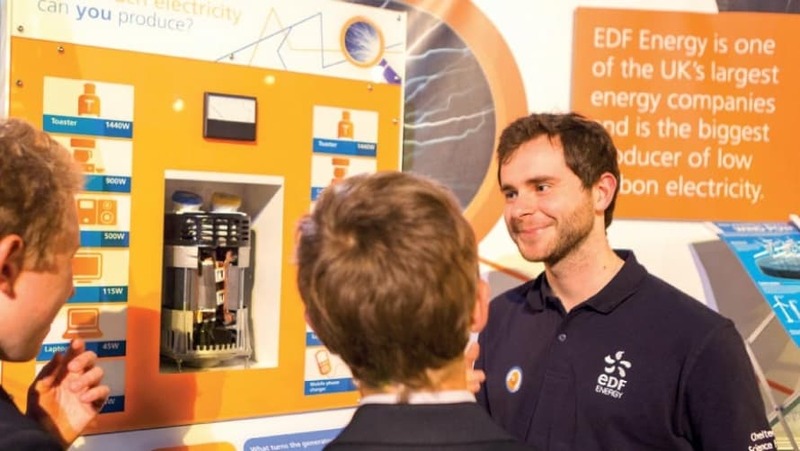 Visit us in the EDF Energy Zone in Imperial Gardens, or inside the Discover Zone in the Town Hall to find out how we are inspiring the next generation of scientists, engineers and thinkers. Welcome to the red planet! 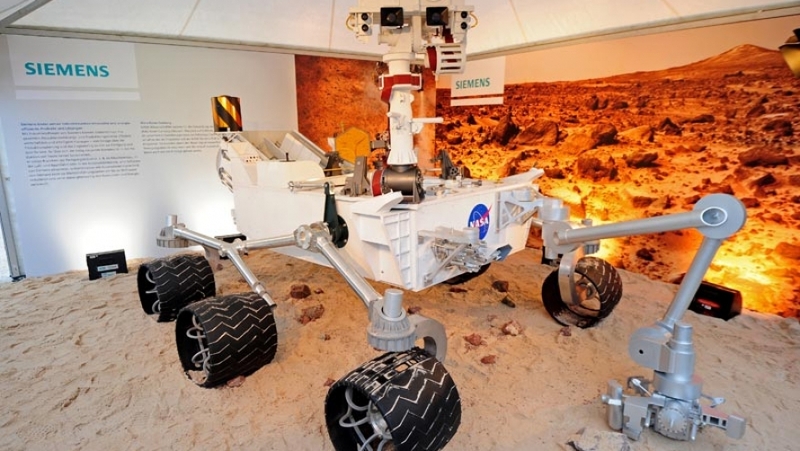 Get ready to land at the Siemens Curiosity Zone, where you can explore the mysteries of Mars. From meteorites to solar gazing, nothing is off-limits. Come and get up close to a huge half-scale model of Curiosity, the robotic rover currently exploring the surface of Mars; and spark your own curiosity by getting hands-on with materials that could help you survive a mission in space! 5. The What if zone? Have you ever thought about exploring hidden structures within crystals? Want to know why Warwick scientists are turning our world’s megacities into experimental labs? Wonder if the cyber-world can truly keep our children safe? 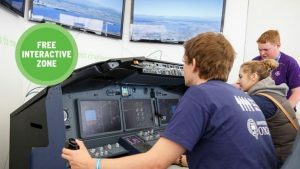 Join GE and get to grips with some cutting- edge technology. Fly and land a jet airplane in GE Aviation’s flight simulator; see how GE uses non-destructive testing in engine blades and propellers; step into the world of Life Science and Medical Diagnostics with GE Healthcare; and investigate deep-sea drilling with GE Oil & Gas. Plus much more! 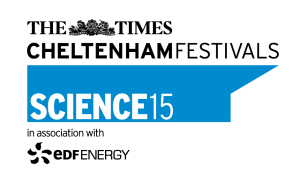 Meet the production teams responsible for some of your favourite BBC science programmes, explore the content further, get hands-on with science and have the opportunity to quiz their family of expert presenters in an informal setting. There is also an early years discovery phone suitable for little ones. Check out there website today via the link below for more information about the event.